With a-side All Your Love Is Gone stacking up the plays and scoring praise across the web and radio, Boxed In has recently revealed the b-side to his debut single. Described by The Guardian as “a Hot Chip-ish dance delight”, Legacy is the second of two tracks that will make up Boxed In’s 7” single release on November 25 through Moshi Moshi Singles Club. Boxed In played a sold out show last Wednesday with Summer Camp and Fimber Bravo at Servants Jazz Quarters in Dalston as part of Moshi Moshi’s 15th birthday celebrations. Despite working as an in demand producer and juggling numerous collaborations and live ventures, Boxed In is Oli Bayston’s first solo venture. The name is loosely derived from Francis Bacon’s infamous Head VI, once described as ‘the operation through which the entire body escapes through the mouth’, a definition that lends itself to the idea of singing. The single was produced by Dan Carey whose previous production credits include Franz Ferdinand, Hot Chip, Bat For Lashes and Toy. It features the ever steady and talented work of fellow band members Liam Hutton on drums and Mark Nicholls on bass. Boxed In are set to release their debut single All Your Love Is Gone/Legacy on November 25. 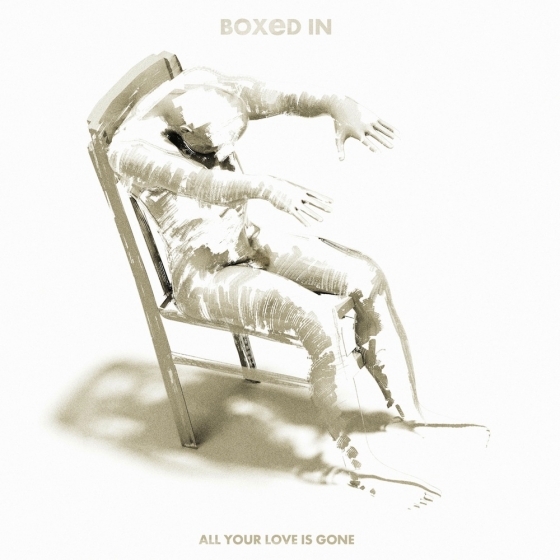 Boxed In have recently revealed an acoustic version of the A-side track, All Your Love Is Gone. All Your Love Is Gone builds a crescendo of sparse beats, driving bass and modulated guitars, topped by Bayston’s bleak yet engaging vocal refrain of “All your love is gone”. It’s a great track which feels similar in style to The Cure, especially in regards to the non-try hard vocals. It has that slightly depressing yet secretly summery feel to it. All Your Love Is Gone captures the sound made popular by the likes of The Cure in the late 70s, early 80s reproducing that very British indie rock sound. But the acoustic version of All Your Love Is Gone shows what a great song it really is. Being completely stripped back with only a piano and Oli Bayston’s vocals making up this version, this song still sounds as full as ever. In fact, the acoustic version allows a lot more emotion to be portrayed. It’s a touching performance by Bayston.